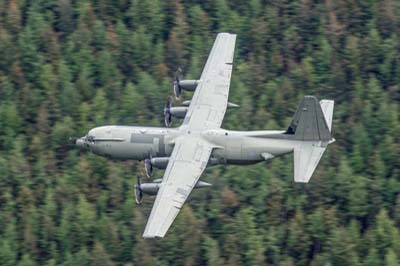 Wednesday May 30, 2018 A gloomy day with only this C-130J Hercules to speak of. 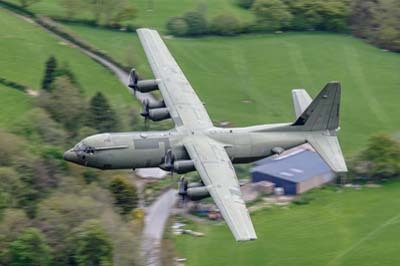 Left to right: C-130J Hercules C.5 (ZH888) of Brize Norton Transport Wing (24/30/47 Squadrons) using callsign 'Ascot 335'. 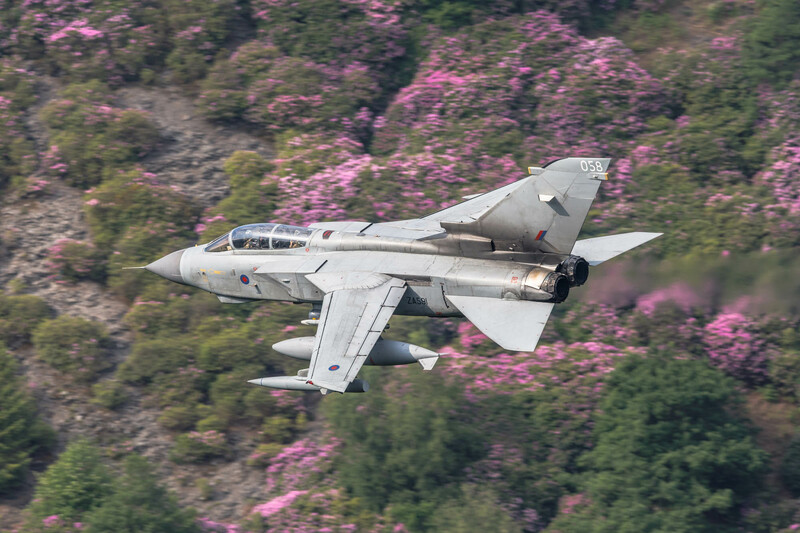 Tuesday May 29, 2018 A slow morning followed by three Tornado GR.4s and a pair of Typhoons. 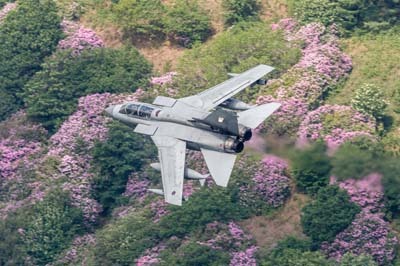 The pink rhododendrons are looking good at this time of the year. 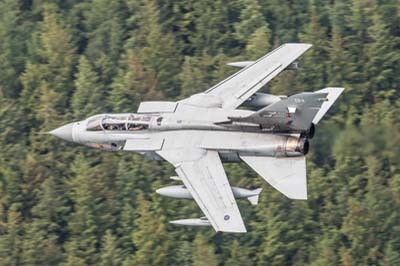 Left to right: Tornado GR.4 (ZA591 '058') with callsign 'Marham 29'. 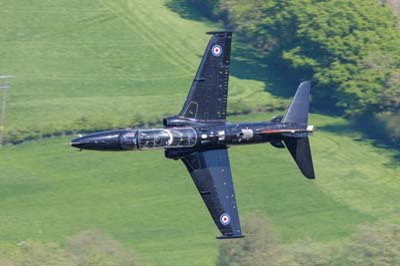 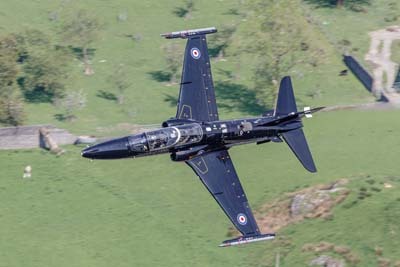 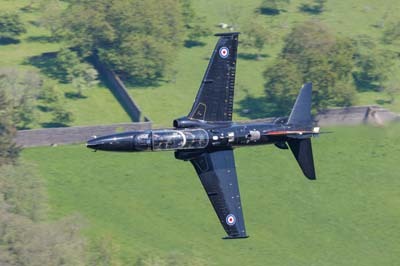 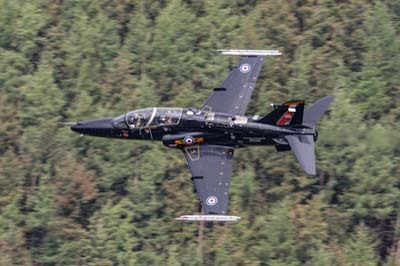 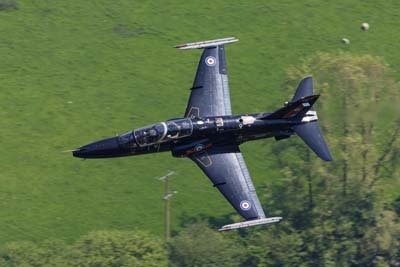 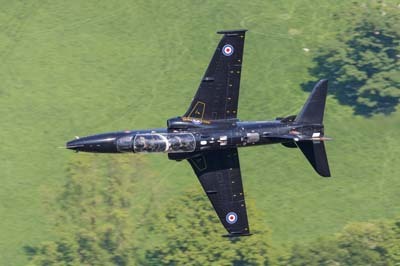 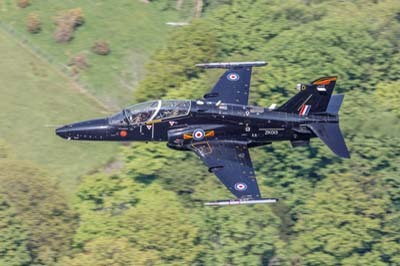 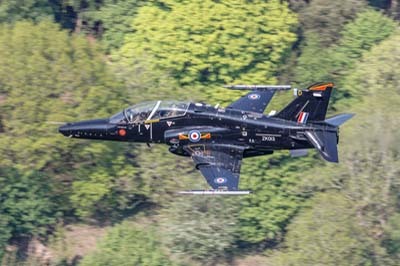 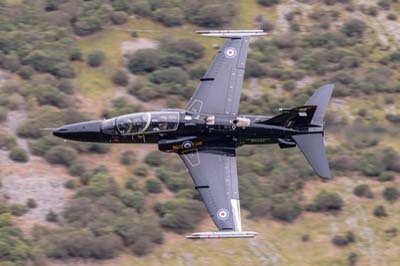 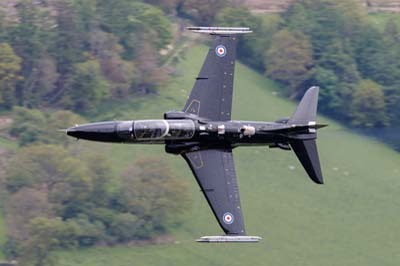 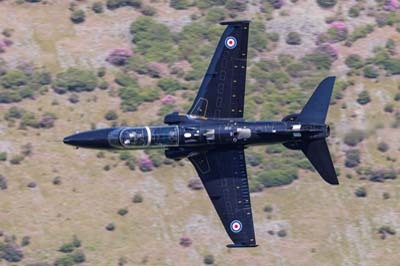 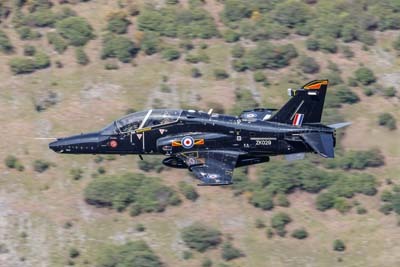 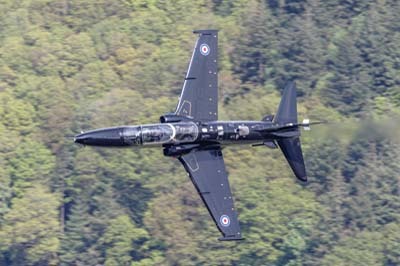 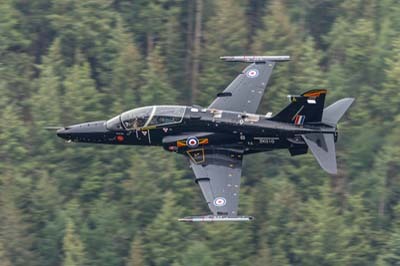 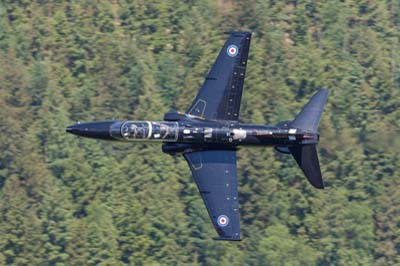 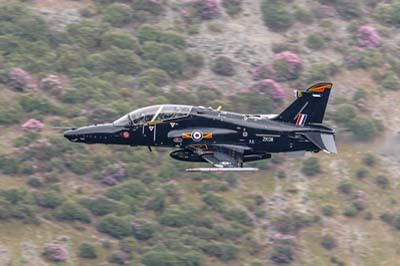 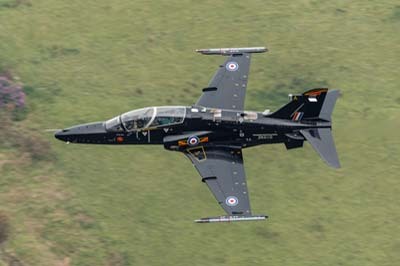 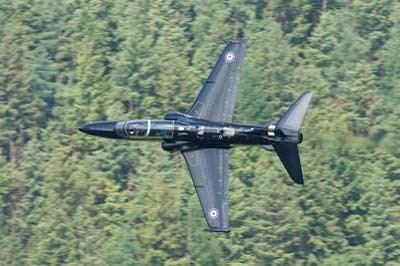 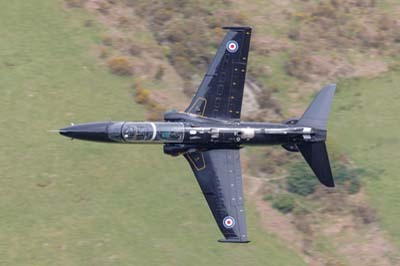 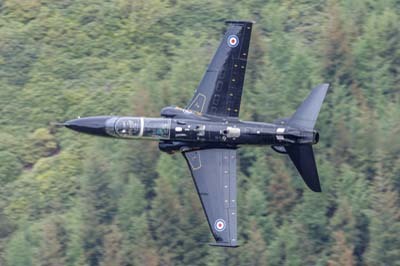 Hawk T.2 (ZK026 'Q') with IV(AC) Squadron. 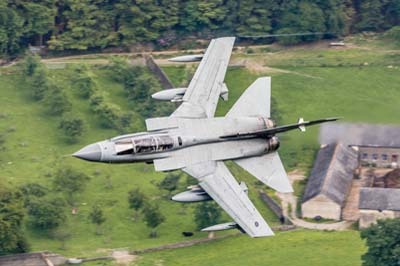 Left to right: Tornado GR.4 (ZA607 'EB-X') with callsign 'Monster 2'. 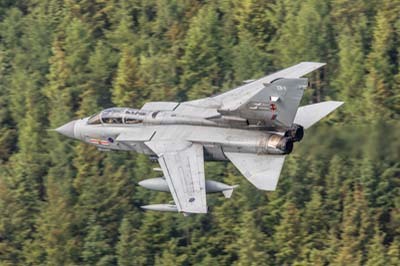 Left to right: Tornado GR.4 (ZA607 'EB-X') with callsign 'Monster 2', second pass. 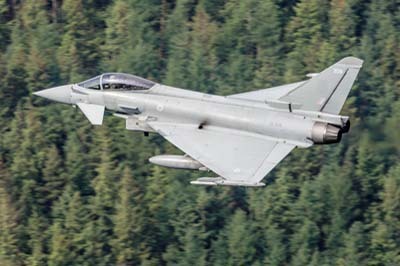 Left to right: Typhoon FGR.4 (ZK330 '330') callsign 'Chaos'. 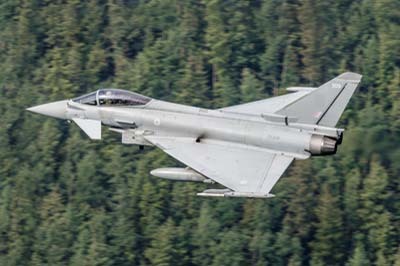 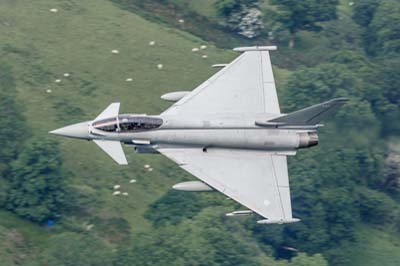 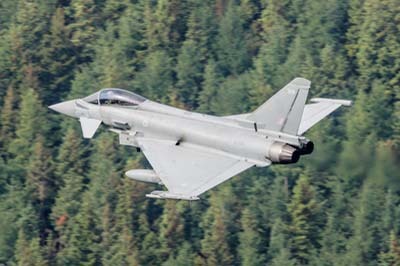 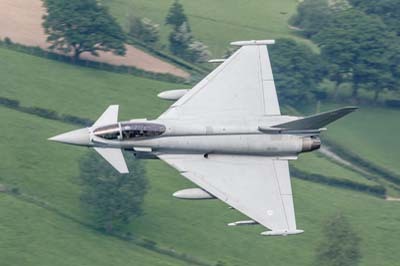 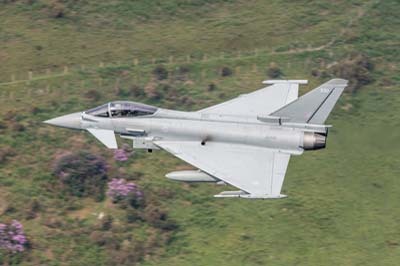 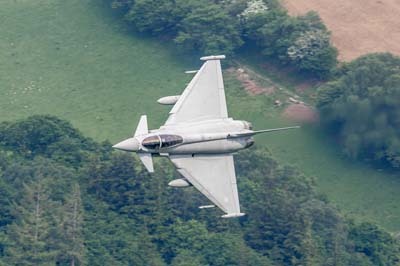 Left to right: Typhoon FGR.4 (ZK309 '309') callsign 'Chaos' flying very close behind. 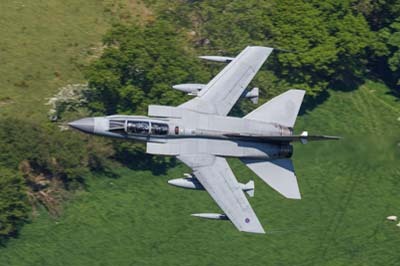 Left to right: Tornado GR.4 (ZA591 '058') with callsign 'Marham 42' returns after hot-pitting at RAF Marham. 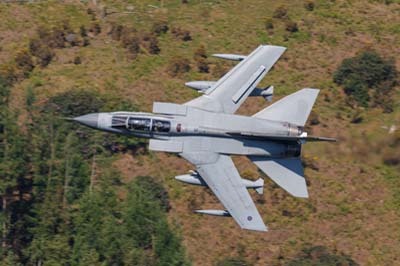 Left to right: Tornado GR.4 (ZA591 '058') with callsign 'Marham 42'. 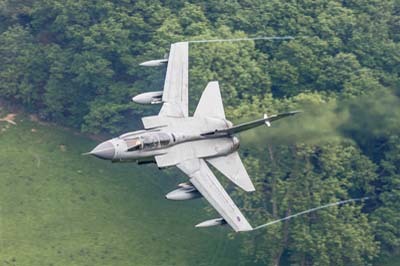 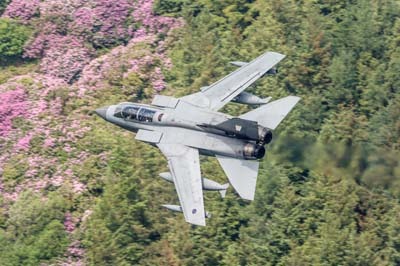 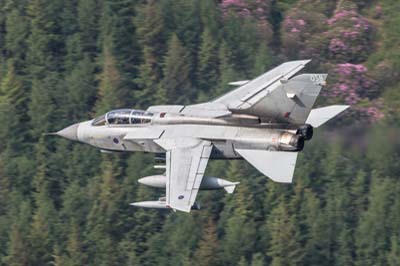 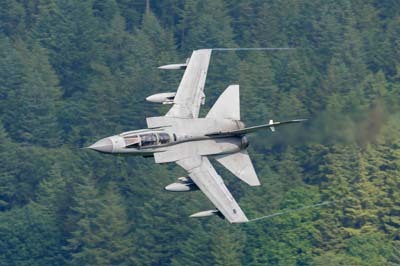 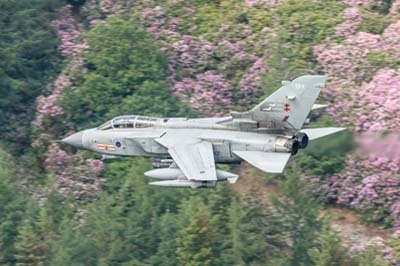 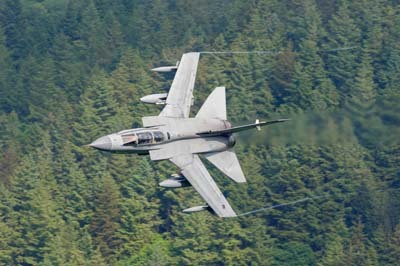 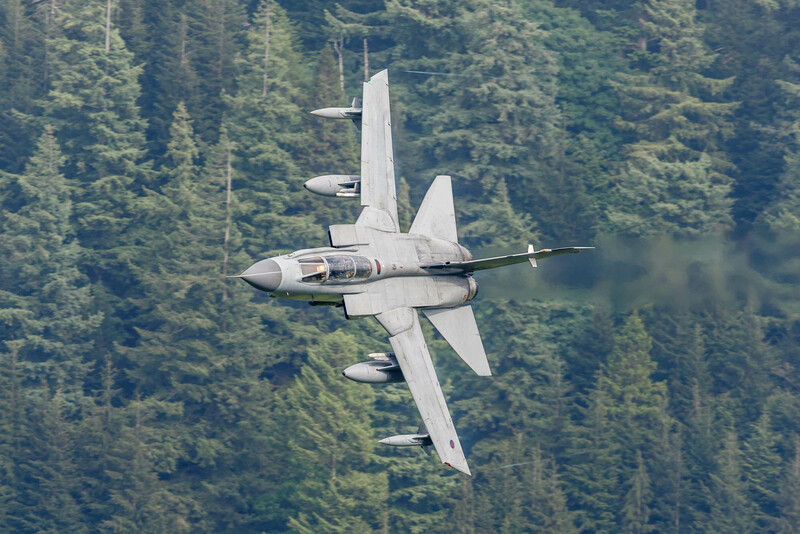 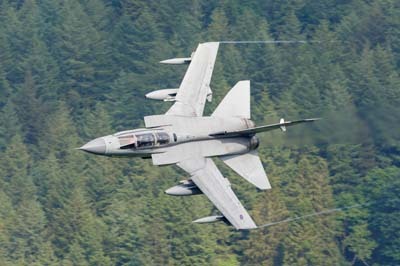 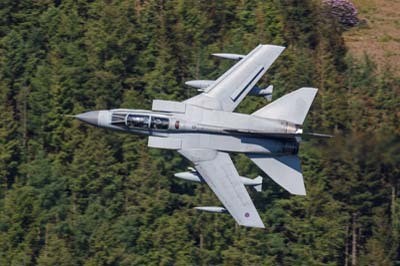 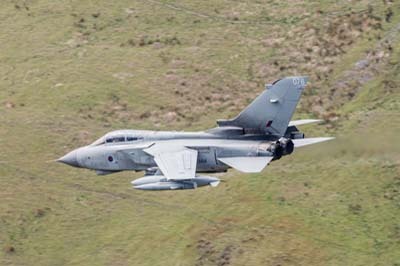 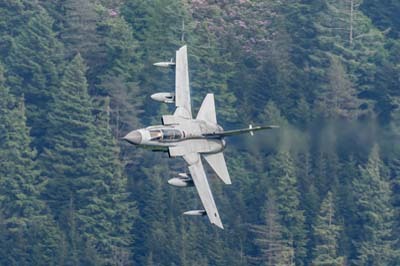 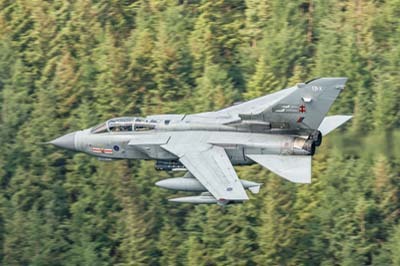 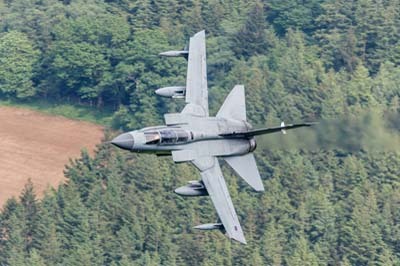 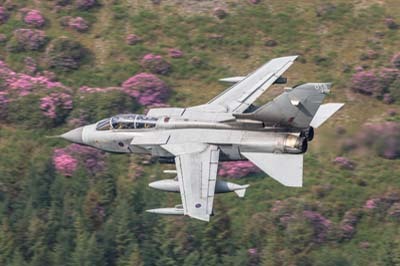 Tornado GR.4 (ZA591 '058') with callsign 'Marham 42' flying low over blooming rhododendrons. 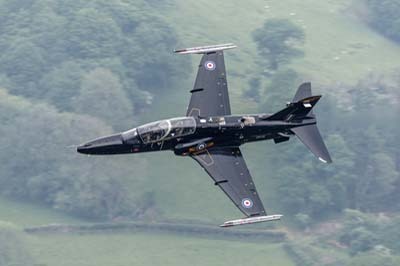 Thursday May 24, 2018Just a pair of Hawk T.2s during this dull day. 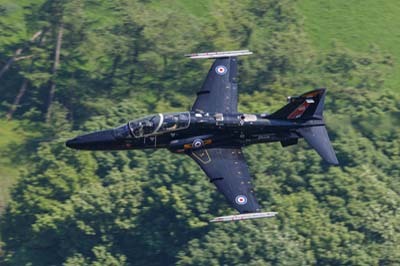 Left to right: Hawk T.2s (ZK010 'A' and ZK011 'B') with IV(AC) Squadron. 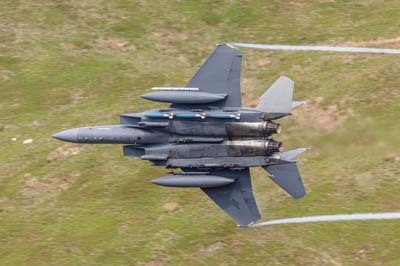 Wednesday May 23, 2018 With the 492 FS, 48 FW still 'surging' this week there were nearly 20 Strike Eagles low passes, there were others about. 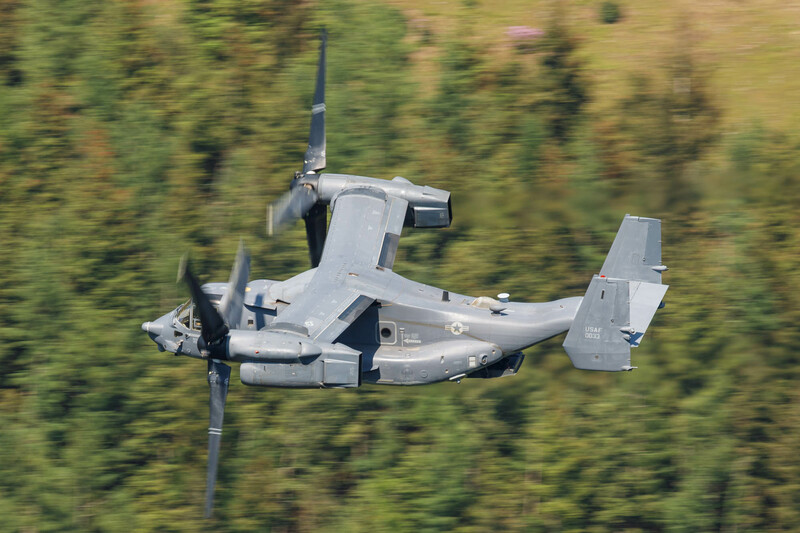 They were followed by an Osprey with two passes and a Tornado GR.4. 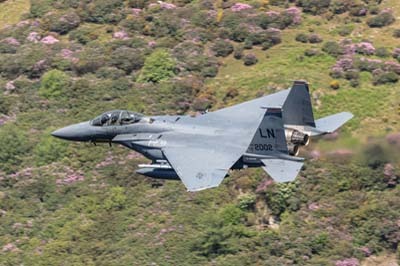 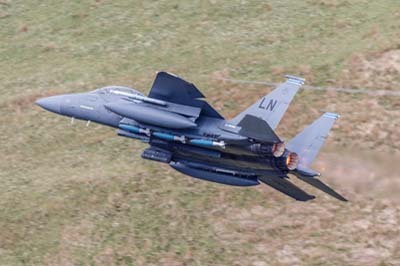 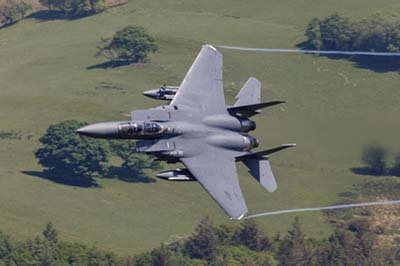 Left to right: F-15E Strike Eagle (01-2001 'LN' and 01-2002 'LN') using callsigns 'Dude 51' and 'Dude 52''. 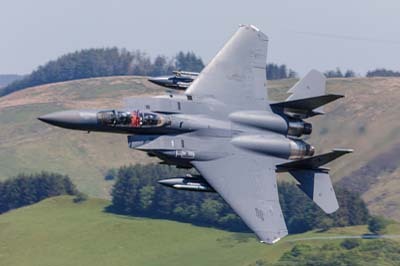 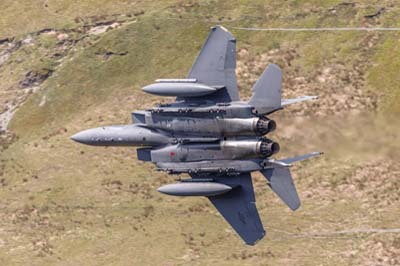 Left to right: F-15E Strike Eagle (01-2002 'LN') using callsign 'Dude 52' in the colours (red fin tip) of 494 FS, 48 FW. 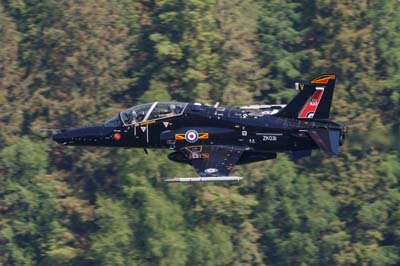 Left to right: Hawk T.2 (ZK031 'V') with RAF100 'sticker' on the tail with IV(AC) Squadron. 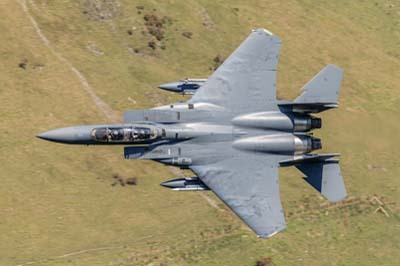 Left to right: F-15E Strike Eagle (91-308 'LN') using callsign 'Rumble 31' in the colours (blue fin tip) of 492 FS, 48 FW. 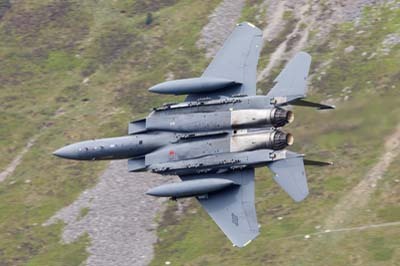 Left to right: F-15E Strike Eagle (91-308 'LN') using callsign 'Rumble 31'. 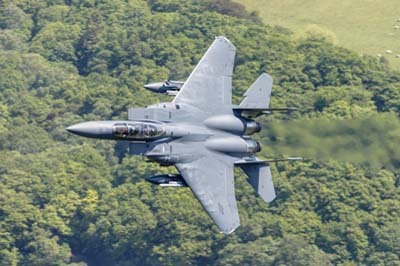 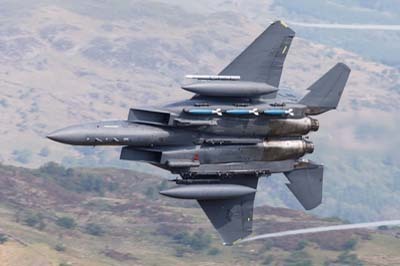 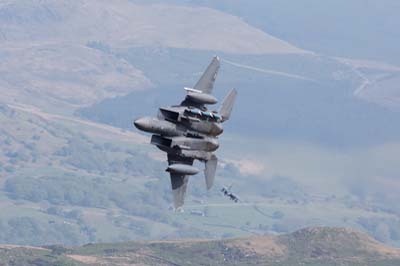 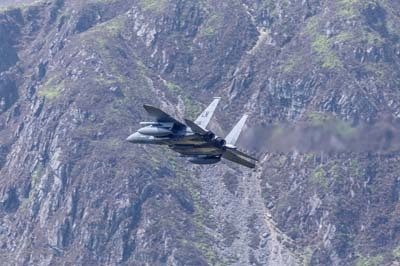 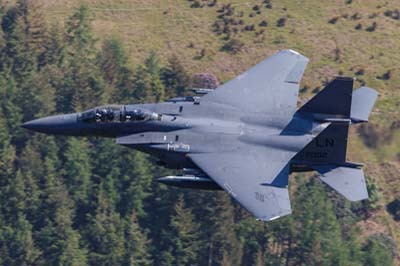 Left to right: F-15E Strike Eagle (96-205 'LN') using callsign 'Rumble 32' in the colours (blue fin tip) of 492 FS, 48 FW. 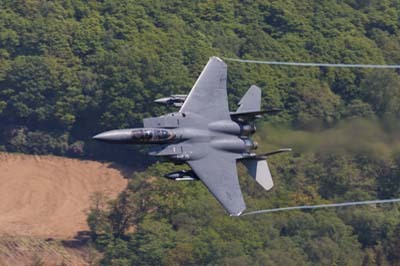 Left to right: F-15E Strike Eagle (96-205 'LN') using callsign 'Rumble 32'. 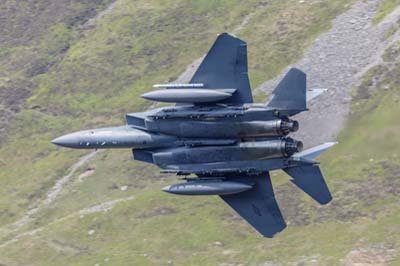 Left to right: F-15E Strike Eagle (91-308 'LN') using callsign 'Rumble 31' in the colours (blue fin tip) of 492 FS, 48 FW, second pass. 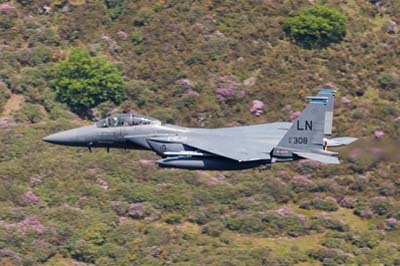 Left to right: F-15E Strike Eagle (96-205 'LN') using callsign 'Rumble 32' in the colours (blue fin tip) of 492 FS, 48 FW, second pass. 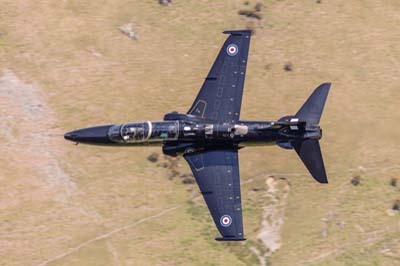 Left to right: Hawk T.2s (ZK014 'E' and ZK026 'Q') with IV(AC) Squadron. 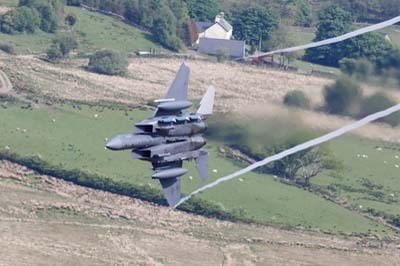 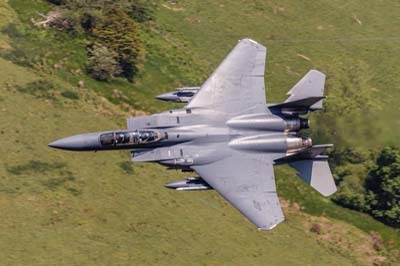 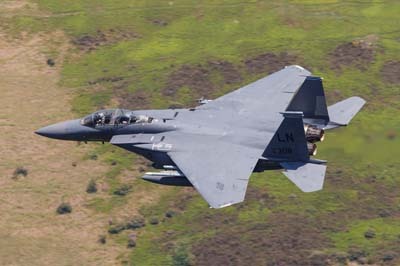 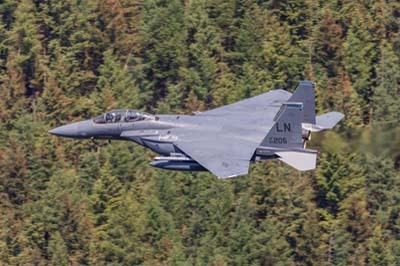 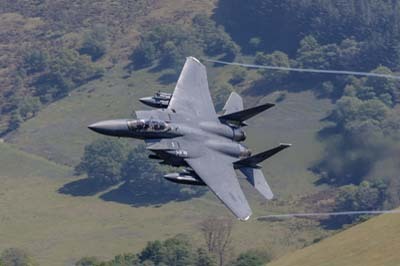 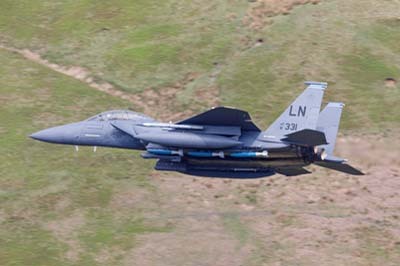 Left to right: F-15E Strike Eagle (01-2001 'LN') using callsign 'Dude 51' without fin tip colours. 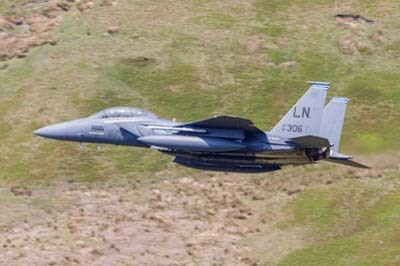 Left to right: F-15E Strike Eagle (01-2002 'LN') using callsign 'Dude 52', second pass of the afternoon sortie. 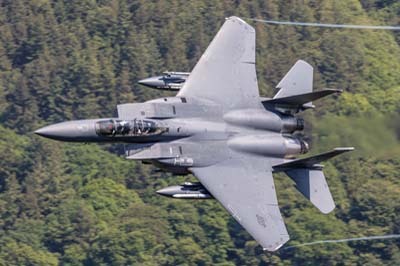 Left to right: F-15E Strike Eagle (91-332 'LN' + 'AEW') using callsign 'Best 71' in the colours (blue fin tip) of 492 FS, 48 FW. 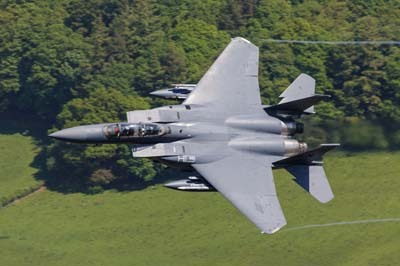 Left to right: F-15E Strike Eagle (98-134 'LN') using callsign 'Best 72' in the colours (blue fin tip) of 492 FS, 48 FW. 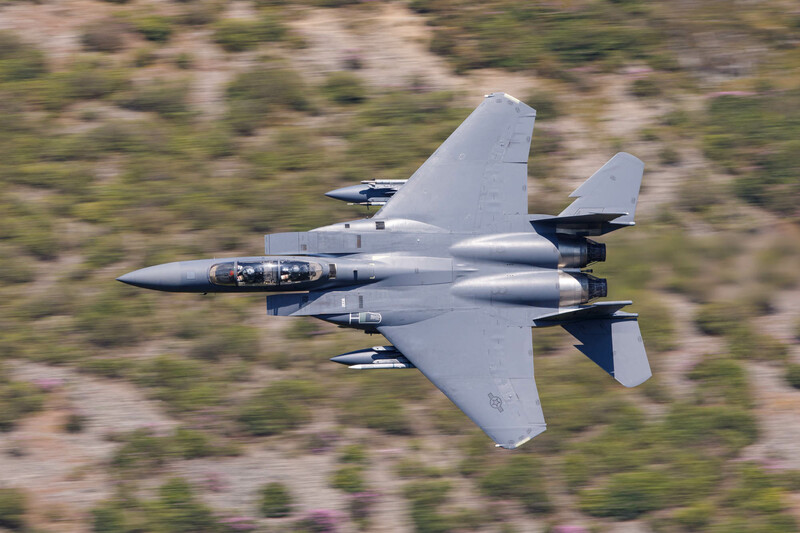 (400mm F2.8 f.9 1/250 -1 stop exposure compensation ISO 100). 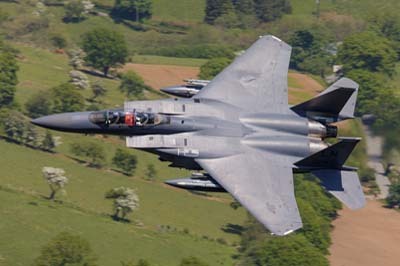 Left to right: F-15E Strike Eagles (91-332 'LN' and 98-134 'LN') using callsigns 'Best 71' and 'Best 72'. 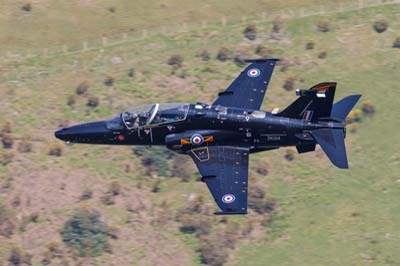 Left to right: Hawk T.2s (ZK020 'K' and ZK023 'N') with IV(AC) Squadron. 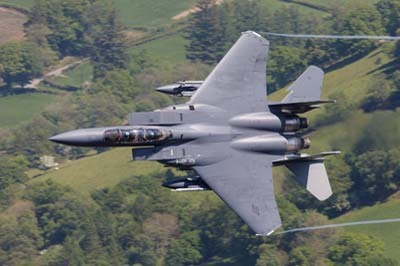 F-15E Strike Eagle (98-134 'LN') using callsign 'Best 72'. 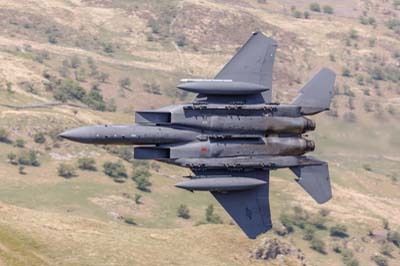 The WSO has dislayed a flag from his university, Virginia Tech' in the USA. 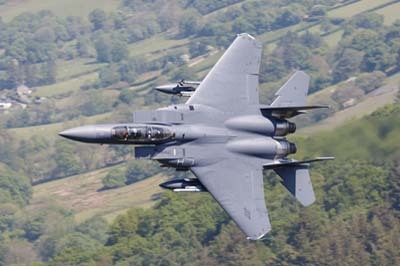 He was a student there during the shooting in 2007 and lost his friend. 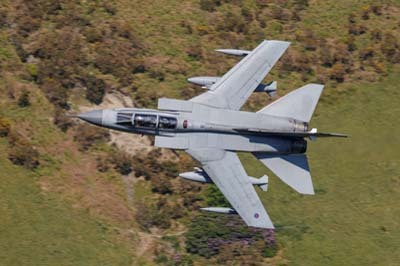 The flag has the university logo over a ribbon in remembrance of that event. 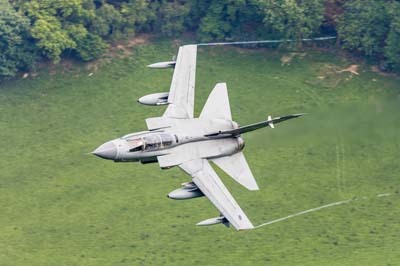 He takes it everywhere, he says. 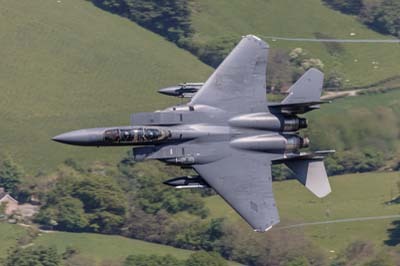 Left to right: F-15E Strike Eagle (98-134 'LN') using callsign 'Best 72'. 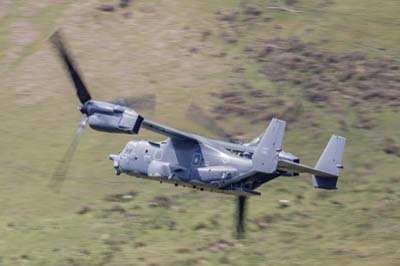 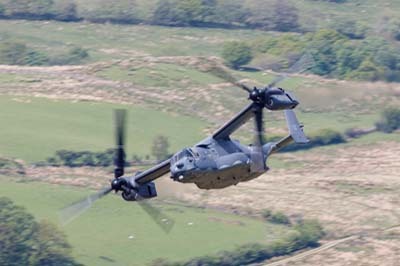 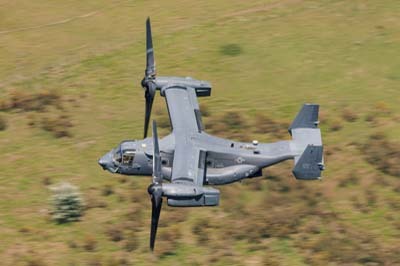 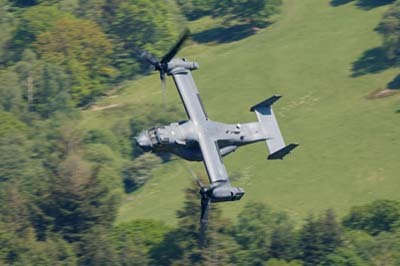 Left to right: Bell CV-22B Osprey (07-0033) using callsign 'Knife 72' from the 7th Special Operations Squadron based at RAF Mildenhall. 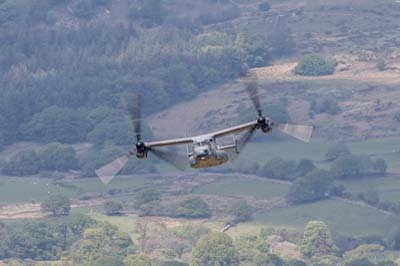 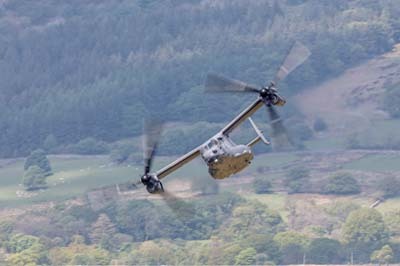 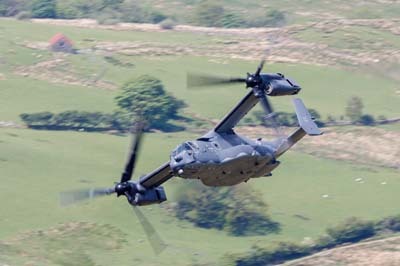 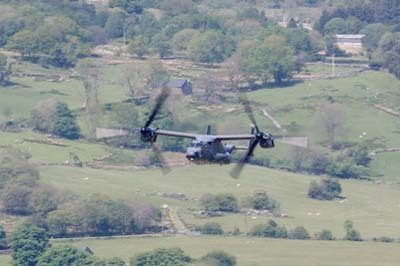 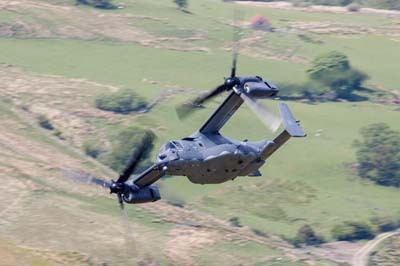 Left to right: Bell CV-22B Osprey (07-0033) using callsign 'Knife 72'. 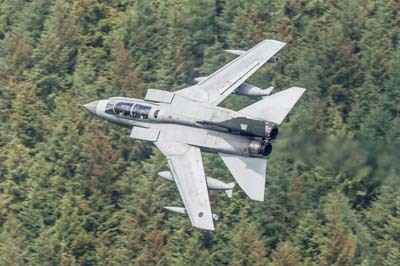 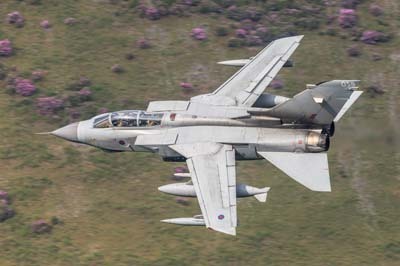 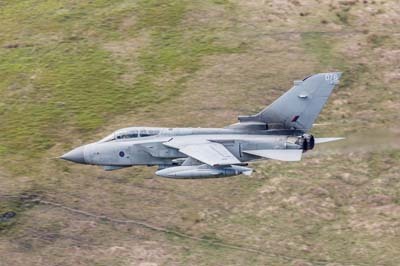 Left to right: Tornado GR.4 (ZA614 '076') using callsign 'Tirpitz 01' it is with IX Squadron although devoid of squadron markings. 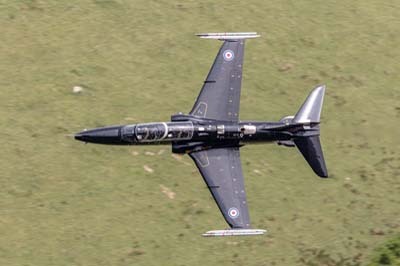 Left to right: Hawk T.2 (ZK021 'L') with IV(AC) Squadron. 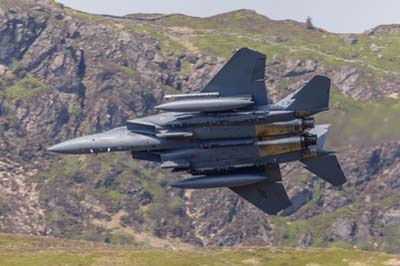 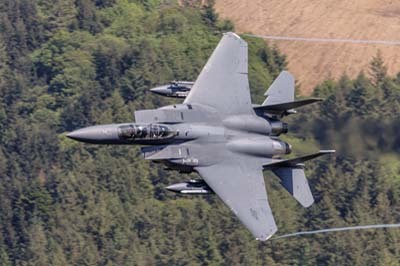 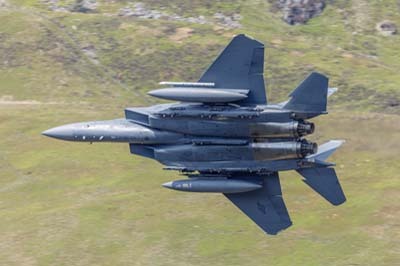 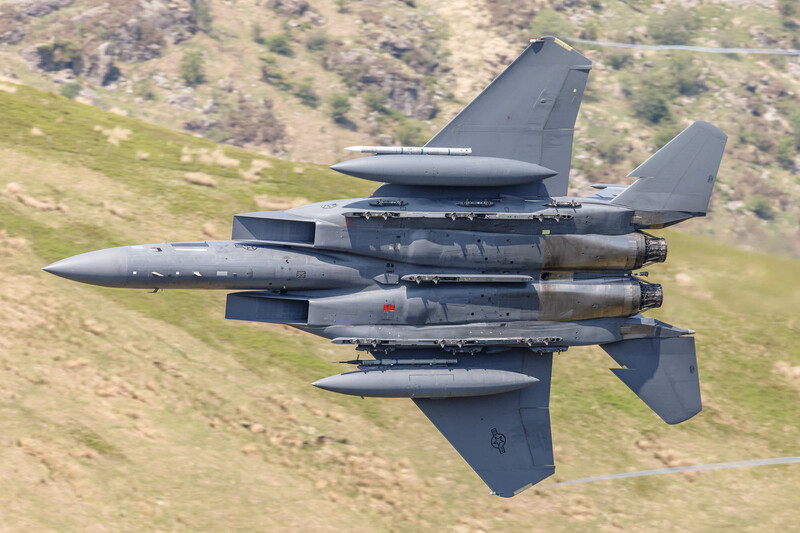 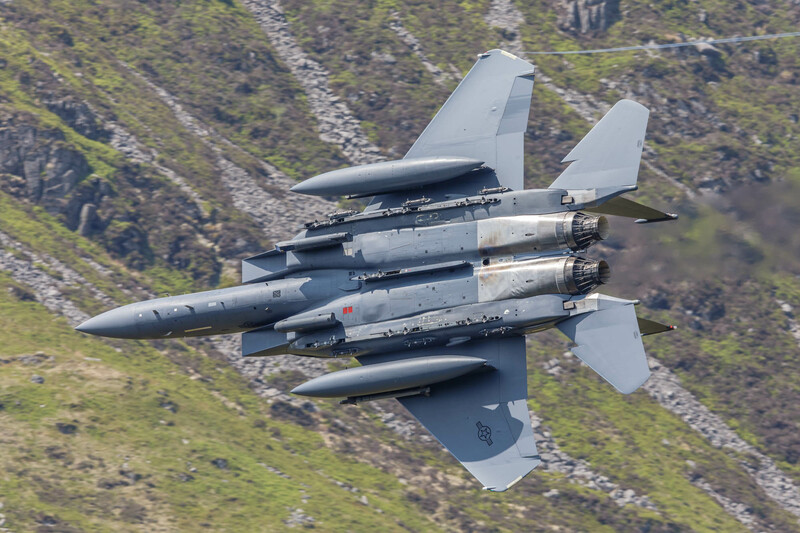 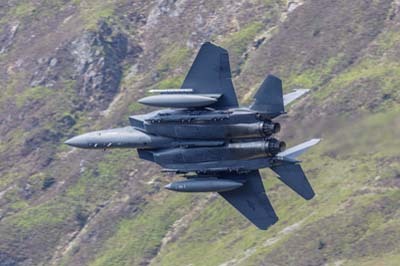 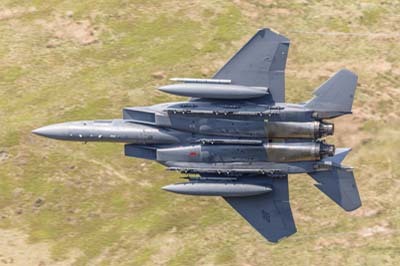 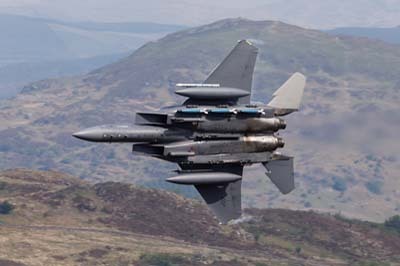 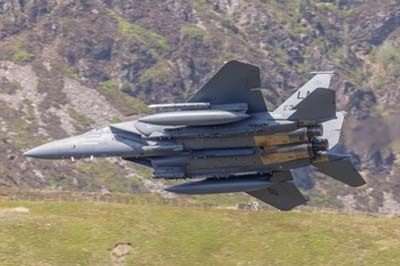 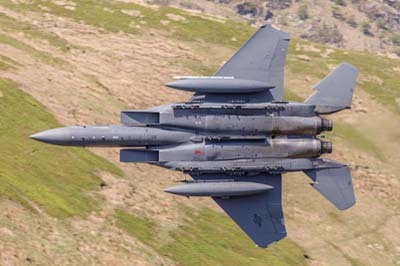 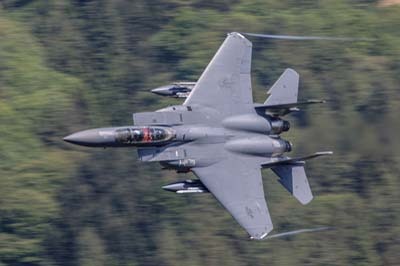 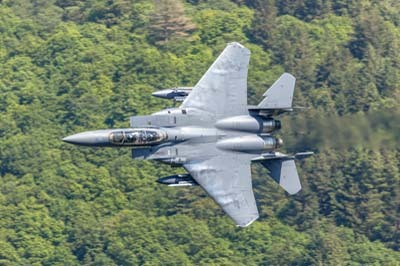 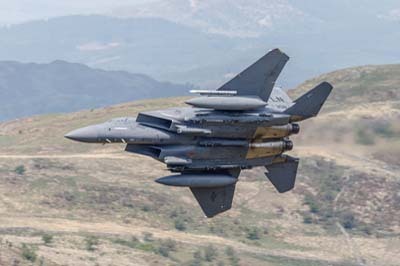 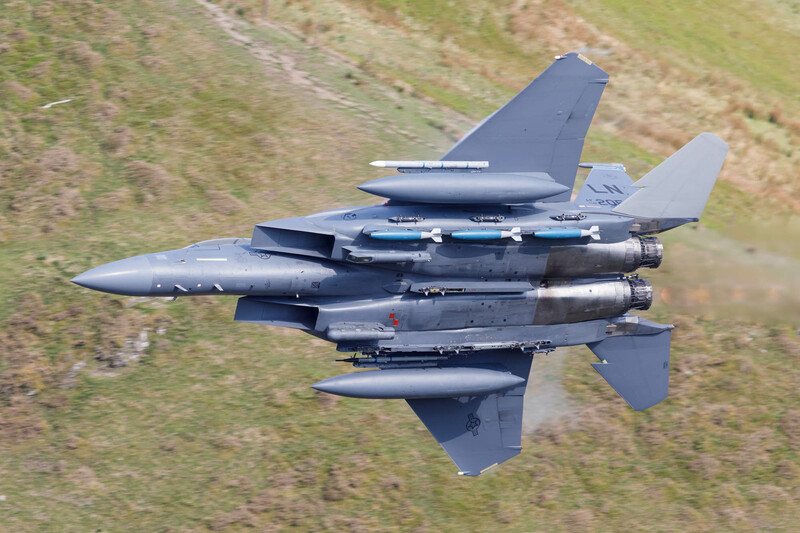 Tuesday May 22, 2018 As the 492 FS, 48 FW were 'surging' this week it produced a spectacular day with nine Strike Eagles with a variety of 'fits' making 13 low passes, there were others that passed high. 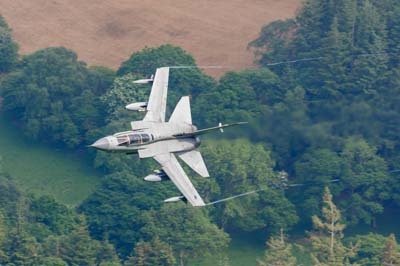 They were followed by an Osprey and a Tornado GR.4. 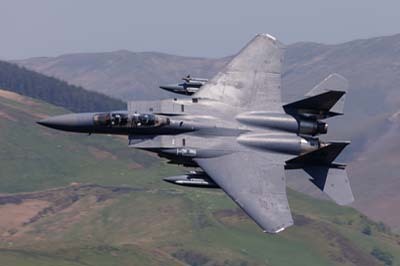 Left to right: F-15E Strike Eagle (96-205 'LN') in the colours (blue fin tip) of 492 FS, 48 FW. 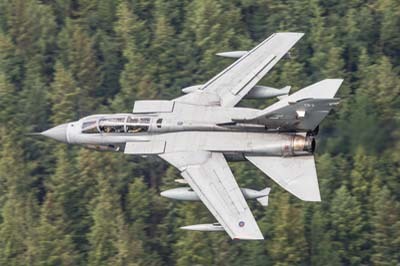 It is carrying three Mk.82 500 Lbs practice bombs on the starboard pylons I believe. 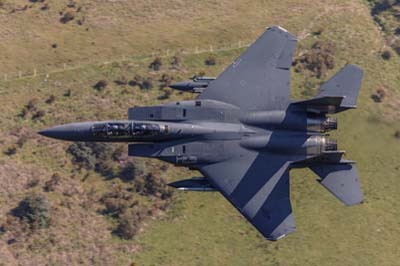 Left to right: F-15E Strike Eagle (91-331 'LN') in the colours (blue fin tip) of 492 FS, 48 FW. 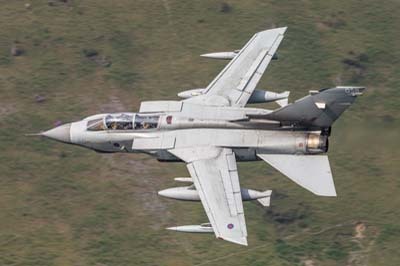 It is also carrying three Mk.82 500 Lbs practice bombs on the starboard pylons I believe. 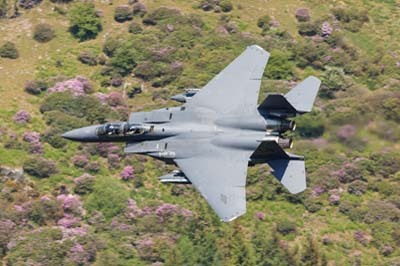 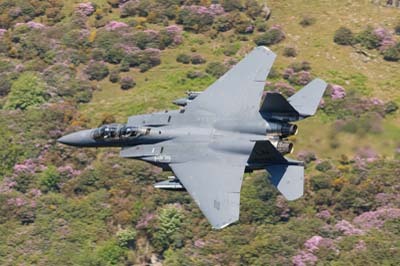 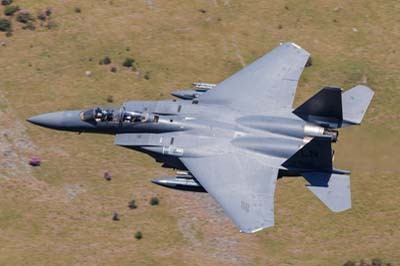 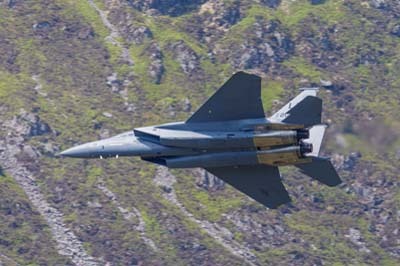 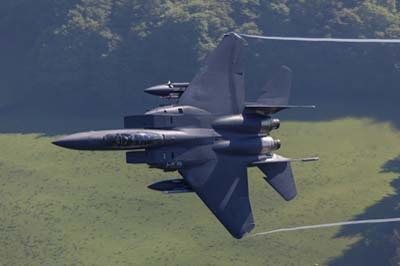 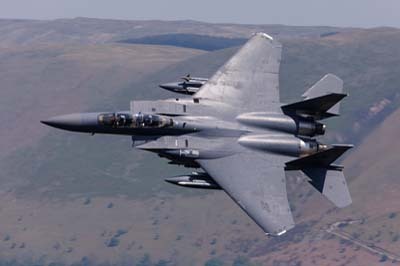 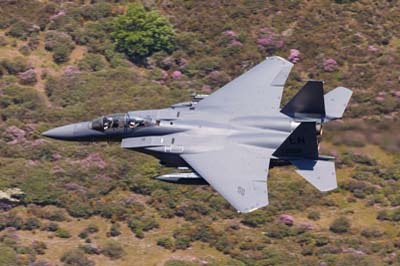 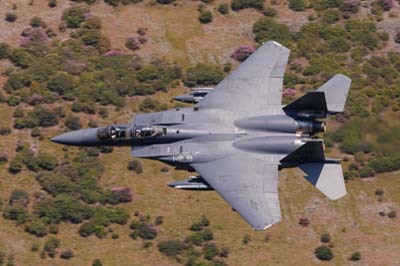 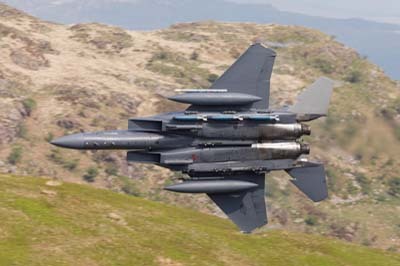 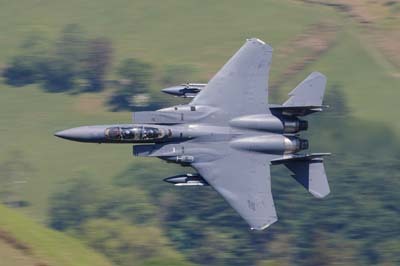 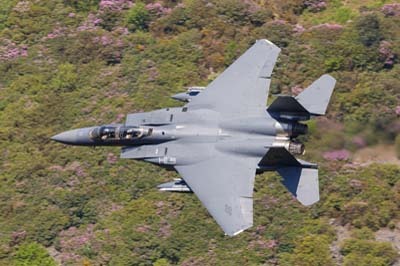 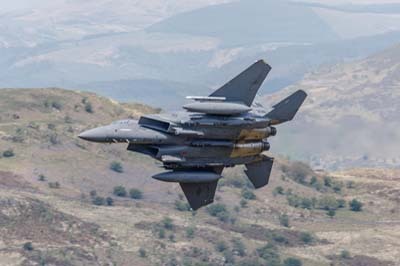 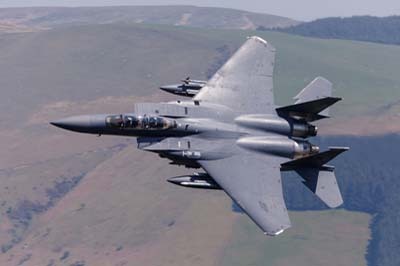 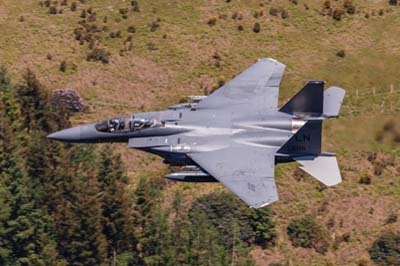 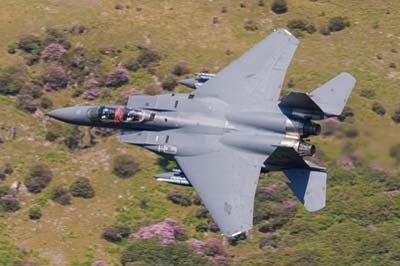 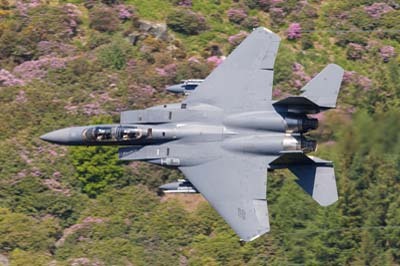 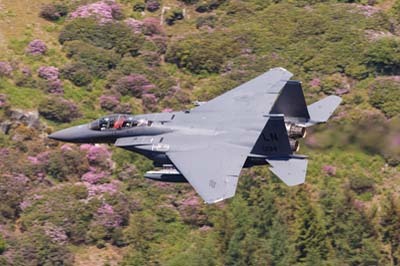 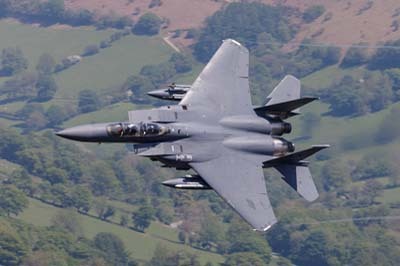 F-15E Strike Eagle (96-205 'LN') in the colours (blue fin tip) of 492 FS, 48 FW. 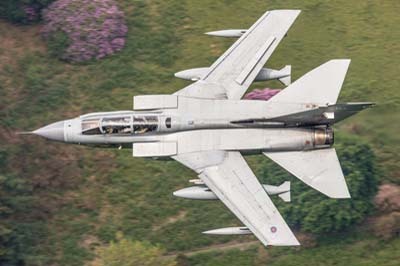 It is carrying three Mk.82 500 Lbs practice bombs on the starboard pylons I believe. 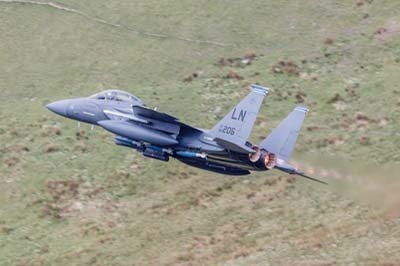 Left to right: F-15E Strike Eagle (96-205 'LN') second pass this time with after-burners. 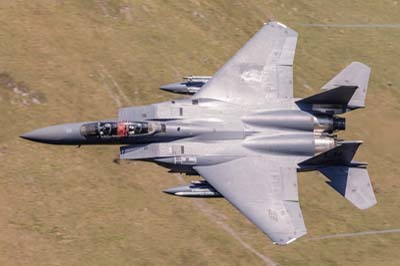 Left to right: F-15E Strike Eagle (98-135 'LN') in the colours (blue fin tip) of 492 FS, 48 FW. 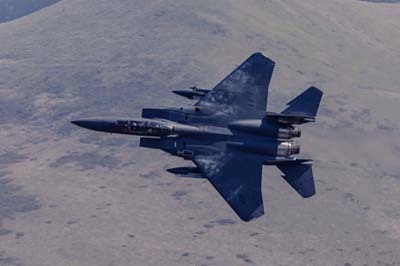 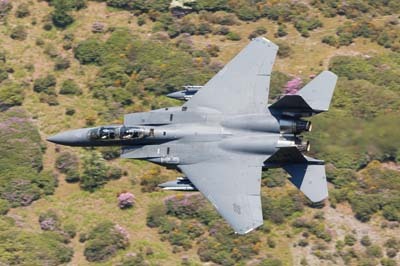 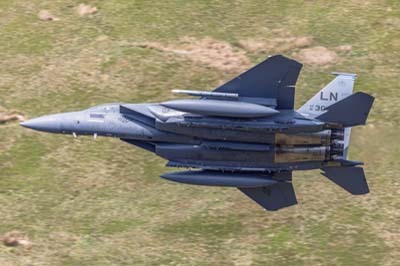 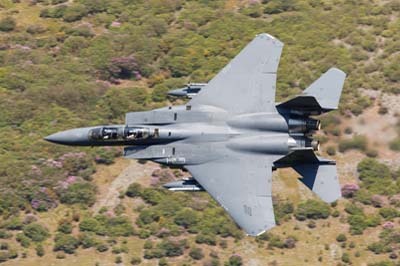 F-15E Strike Eagle (98-135 'LN') in the colours (blue fin tip) of 492 FS, 48 FW. 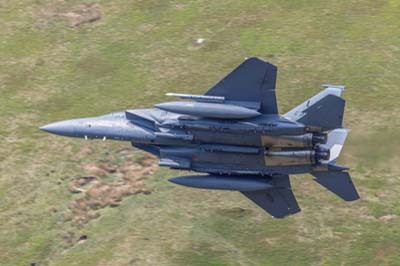 Left to right: F-15E Strike Eagle (unknown 'LN') in the colours (blue fin tip) of 492 FS, 48 FW. 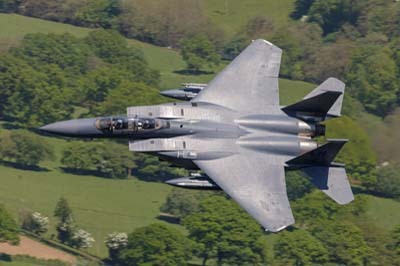 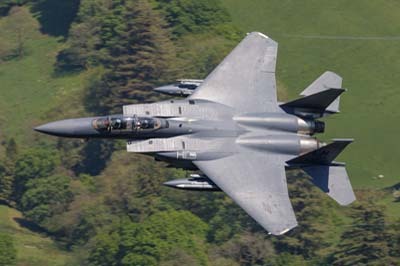 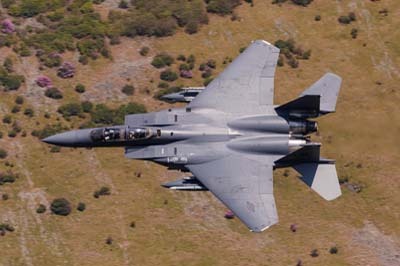 F-15E Strike Eagle (01-2004 'LN') with no fin tip colours it is completely clean underneath. 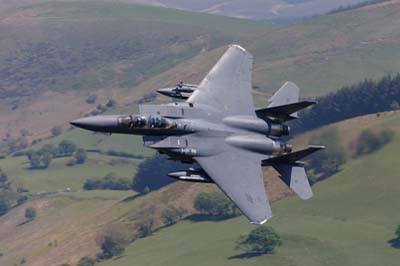 Left to right: F-15E Strike Eagle (91-308 'LN') in the colours (blue fin tip) of 492 FS, 48 FW. 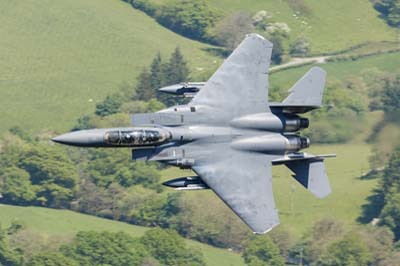 Left to right: F-15E Strike Eagle (91-306 'LN') in the colours (blue fin tip) of 492 FS, 48 FW. 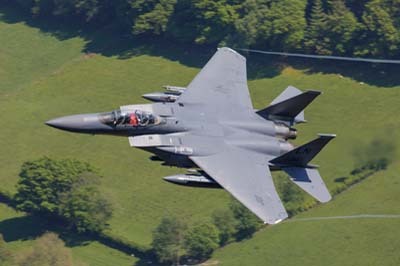 F-15E Strike Eagle (98-133 'LN') in colours of 492 FS, 48 FW. 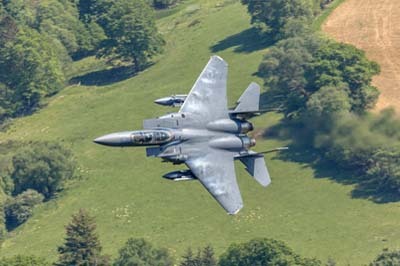 Left to right: F-15E Strike Eagle (91-303 'LN') callsign 'Sticky 21' without fin tip colours. 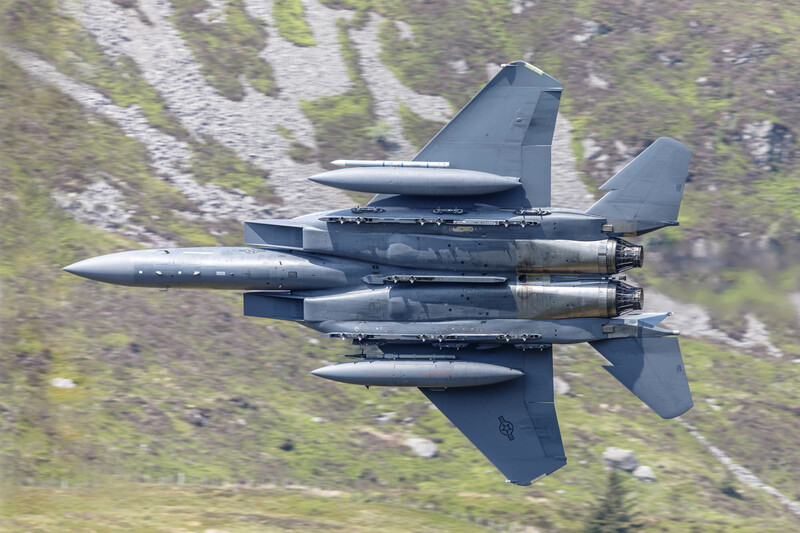 F-15E Strike Eagle (98-133 'LN') callsign 'Sticky 22' in colours of 492 FS, 48 FW. 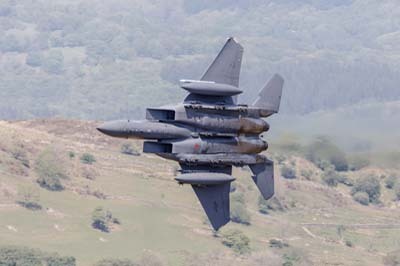 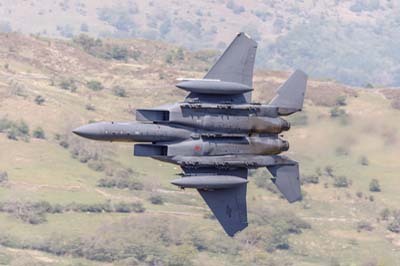 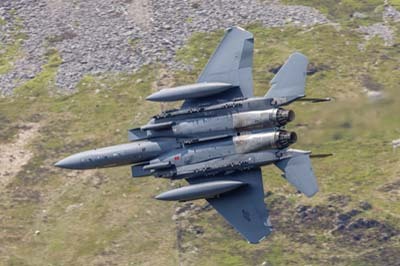 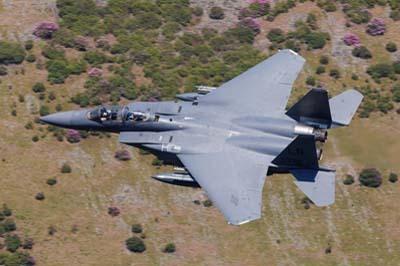 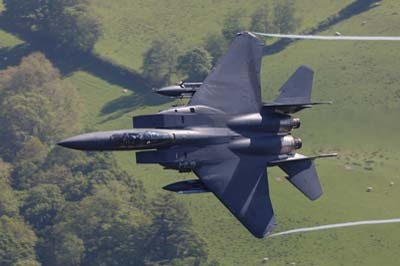 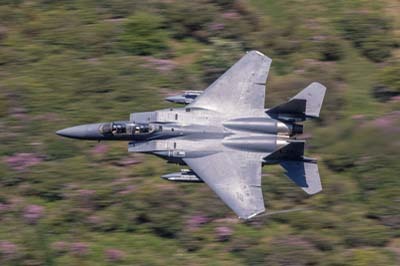 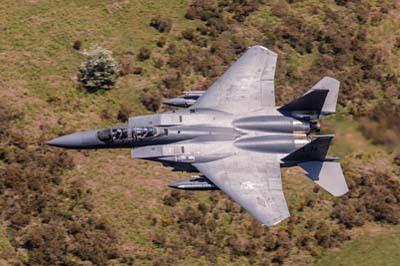 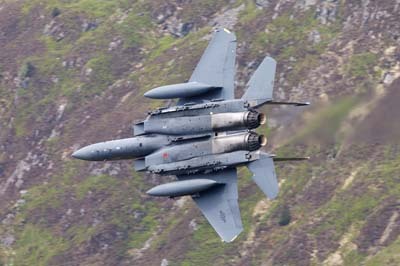 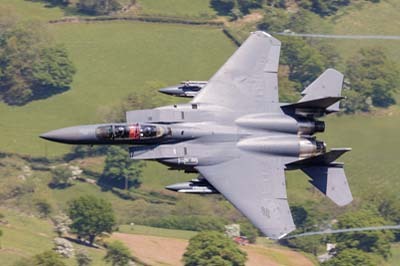 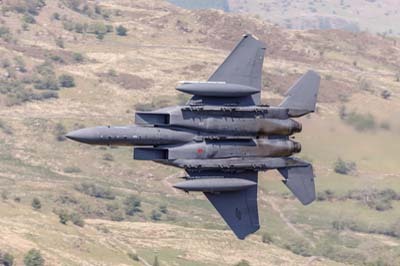 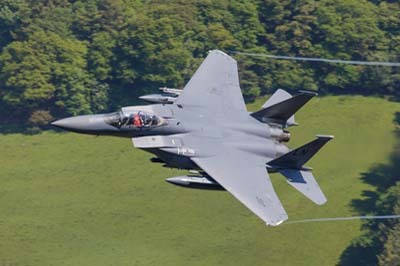 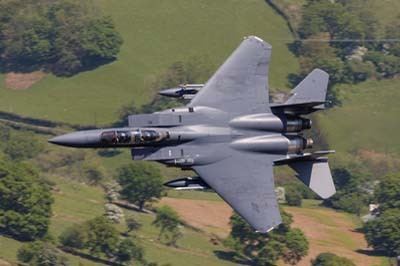 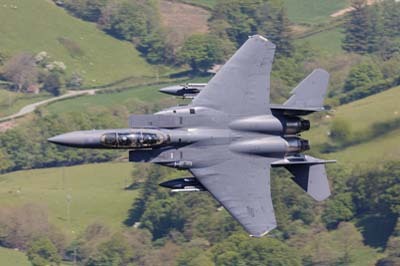 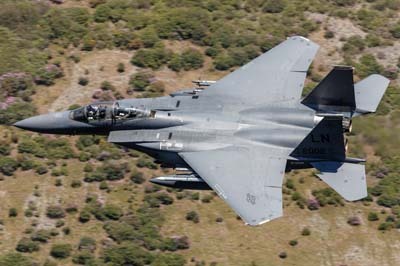 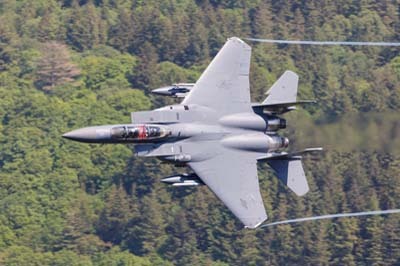 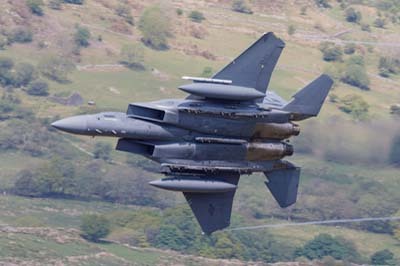 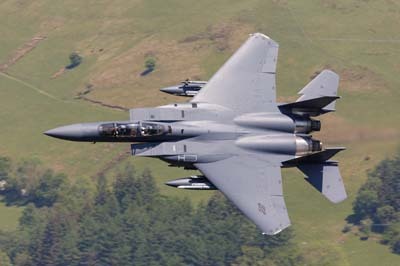 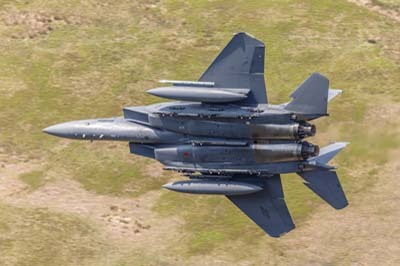 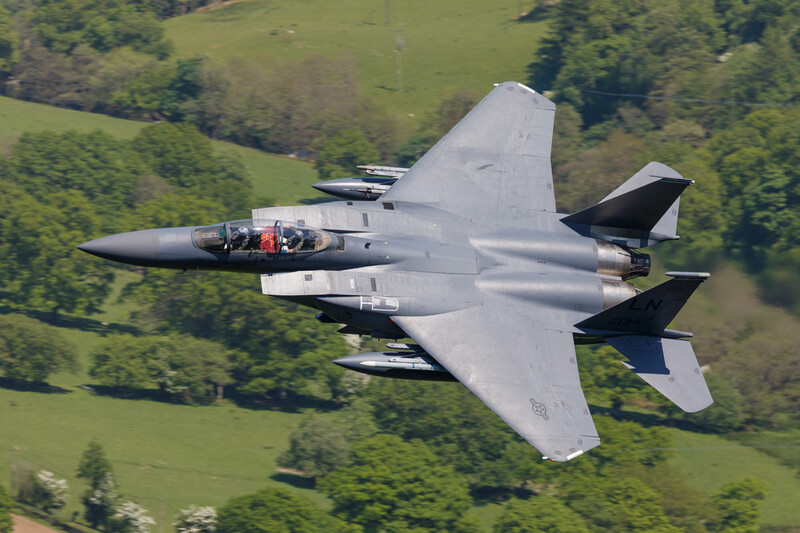 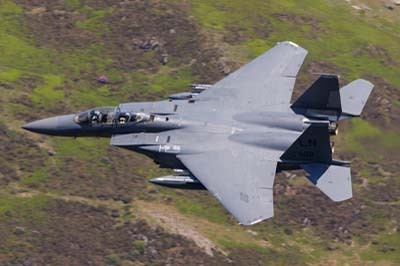 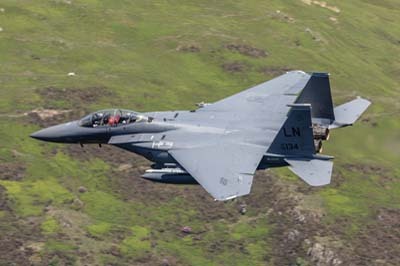 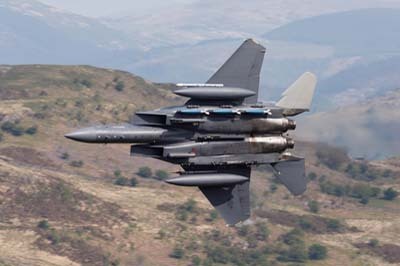 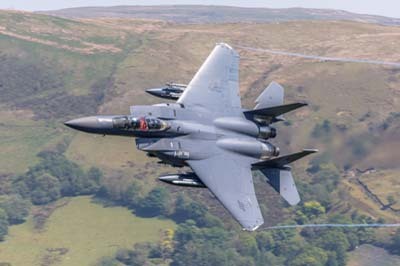 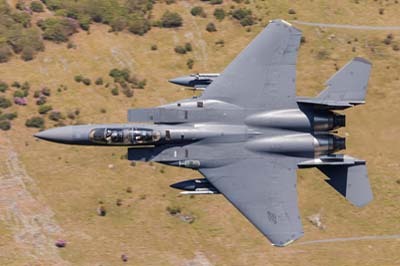 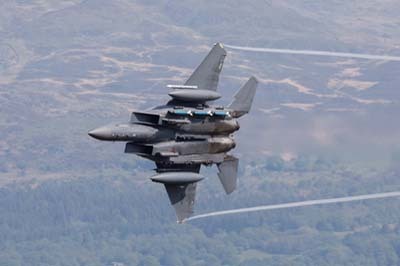 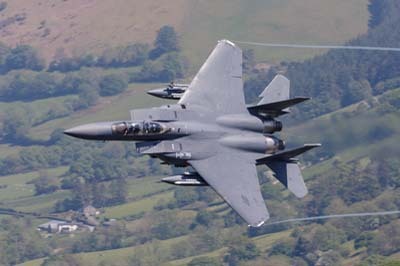 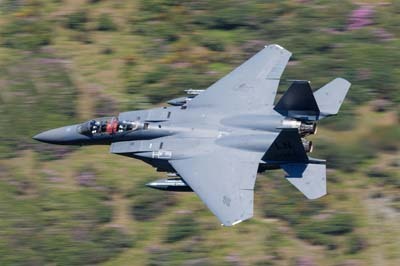 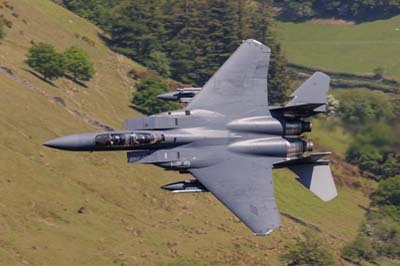 F-15E Strike Eagle (91-303 'LN') using callsign 'Sticky 21' it does not have fin tip colours. 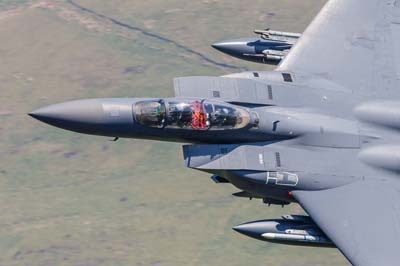 Left to right: F-15E Strike Eagle (91-303 'LN' and 98-133 'LN') in the colours of 492 FS, 48 FW. 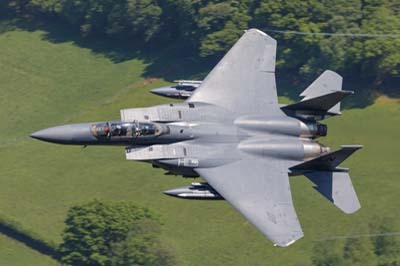 Left to right: F-15E Strike Eagle (98-133 'LN') in colours of 492 FS, 48 FW. 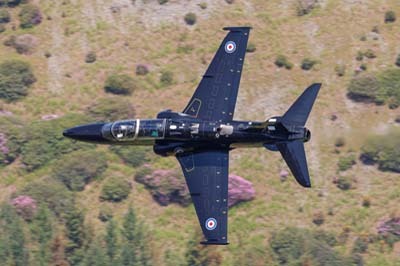 Hawk T.2 (ZK028 'S') with IV(AC) Squadron. 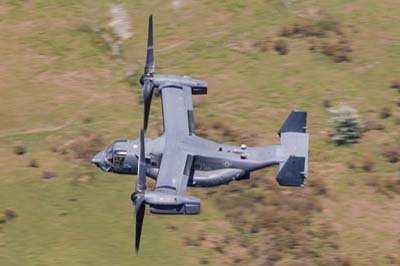 Left to right: Bell CV-22B Osprey (12-0064) using callsign 'Knife 72' from the 7th Special Operations Squadron based at RAF Mildenhall. 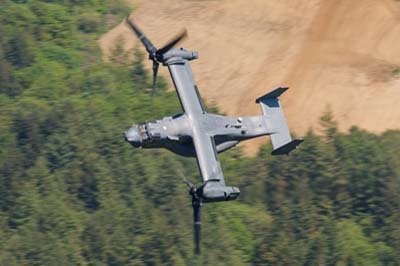 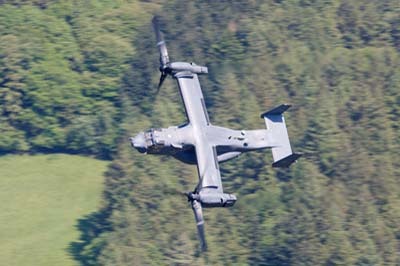 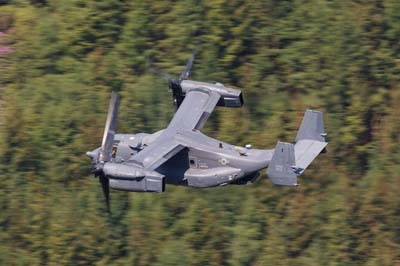 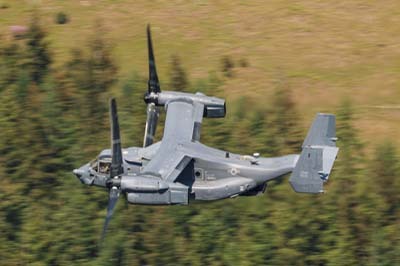 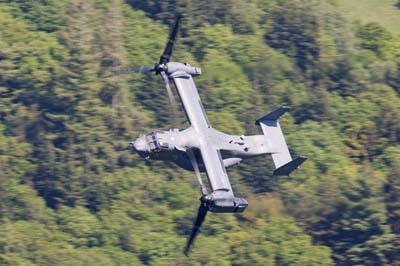 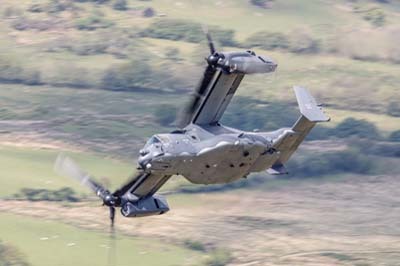 Left to right: Bell CV-22B Osprey (12-0064) using callsign 'Knife 72' on its second pass. 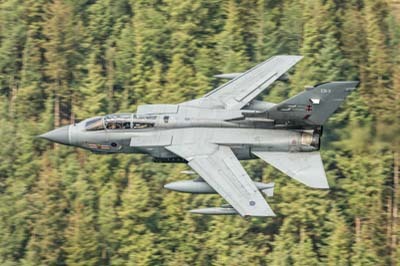 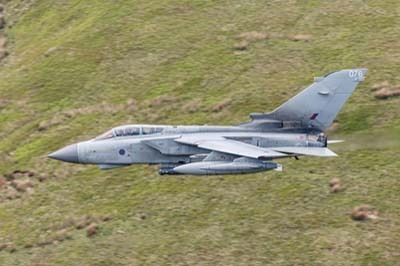 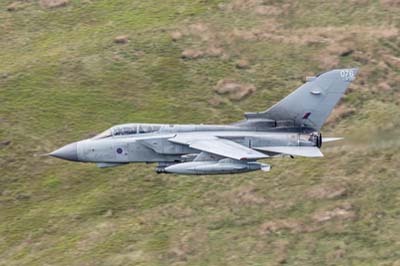 Left to right: Tornado GR.4 (ZA614 '076') using callsign 'Tirpitz 01' it is with IX Squadron. 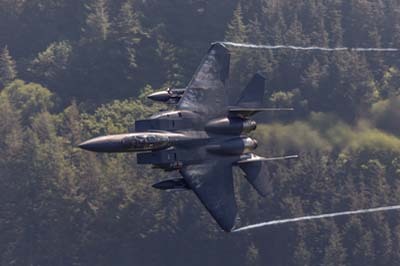 Thursday May 17, 2018 An MC-130J and F-15C Eagles flew the Loop but not in front of my camera. 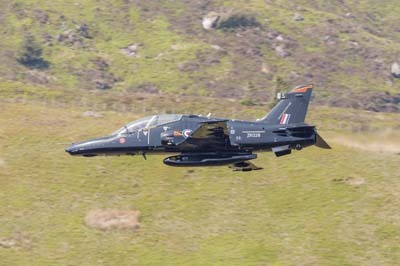 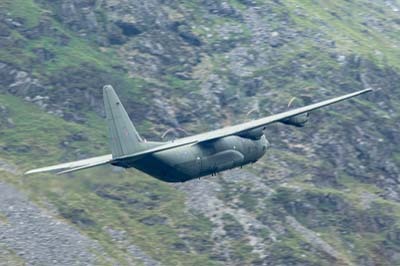 Instead I had RAF transports which worked well with having my 70-200mm lens with me. 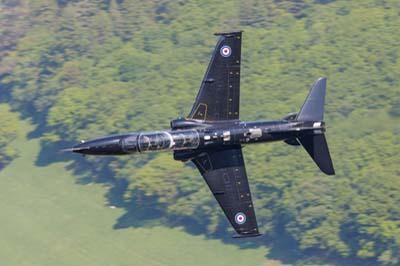 Left to right: Hawk T.2s (ZK037 'AB' and ZK017 'H') of 4(R) Squadron. 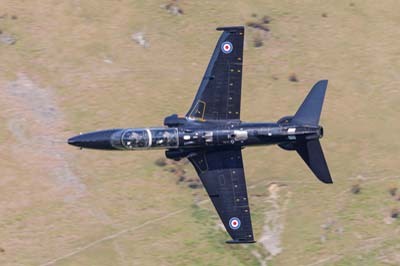 Left to right: Hawk T.2s (ZK031 'H' with RAF100 'sticker' on the tail and ZK029 'T') of 4(R) Squadron. 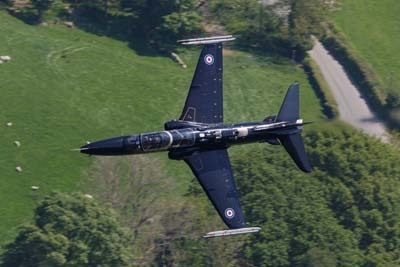 Left to right: Hawk T.2s (ZK013 'D') of 4(R) Squadron. 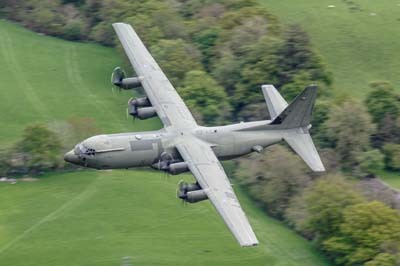 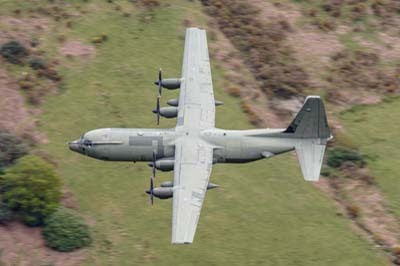 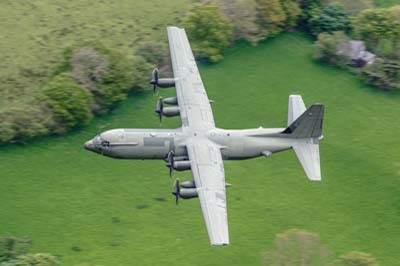 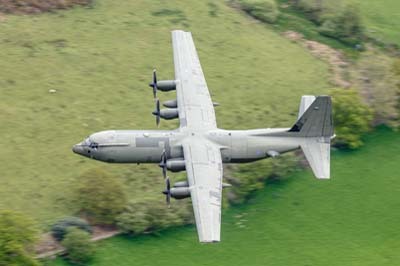 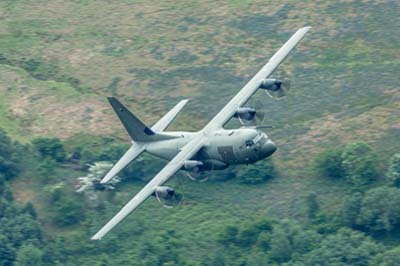 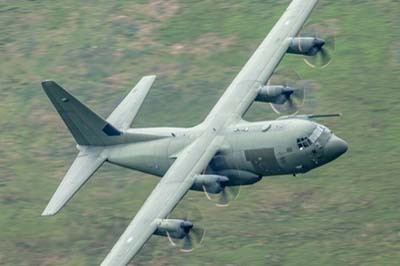 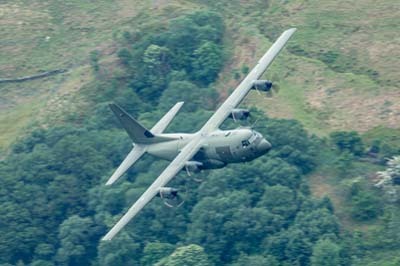 Left to right: C-130J-30 Hercules C.4 (ZH871) with 24/47 Squadron, Brize Norton Transport Wing. 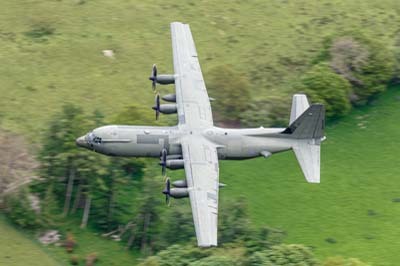 Left to right: C-130J-30 Hercules C.4 (ZH871) with 24/47 Squadron. 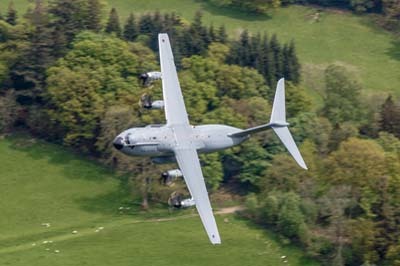 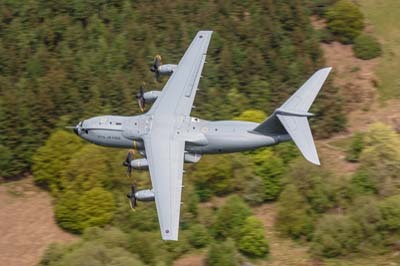 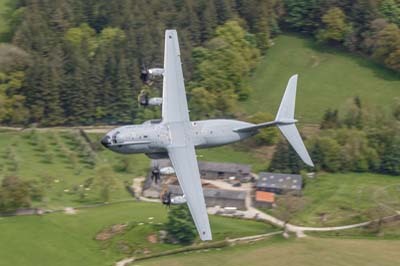 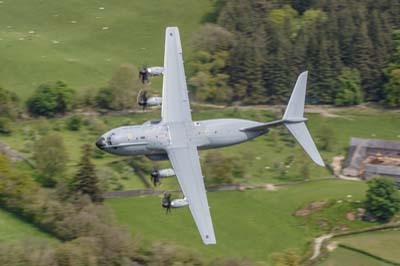 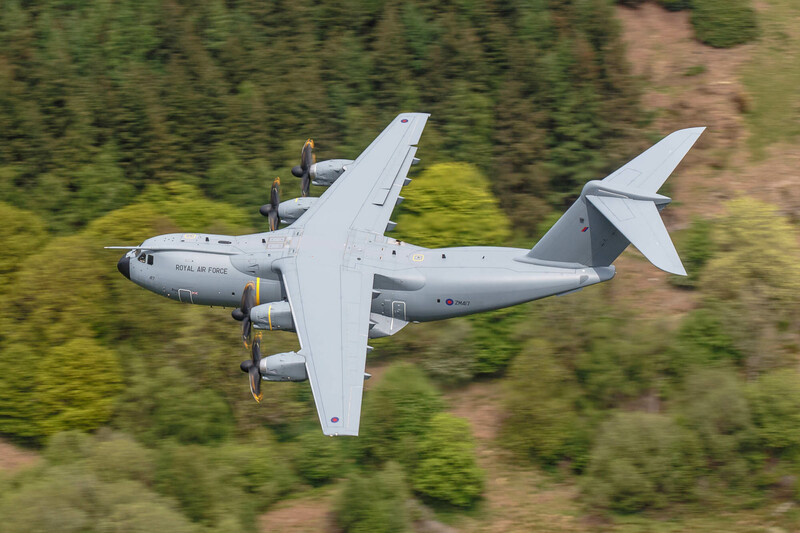 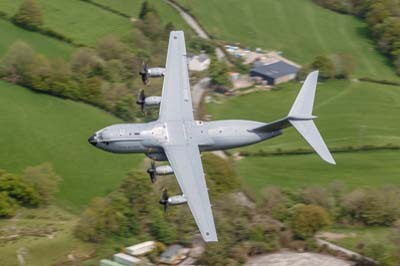 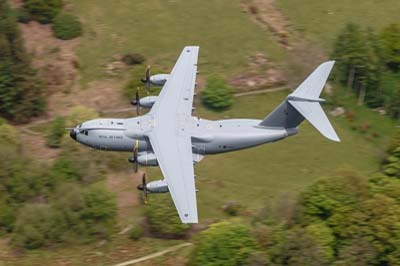 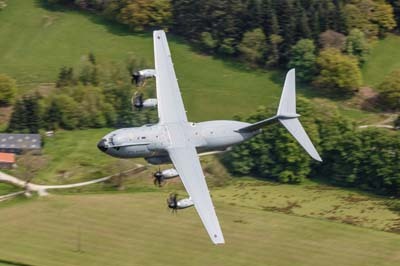 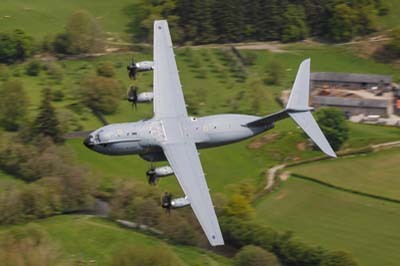 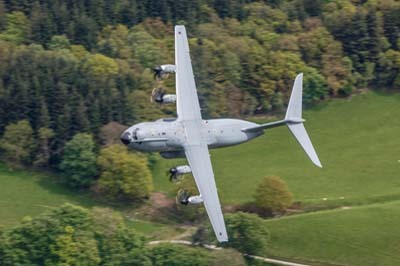 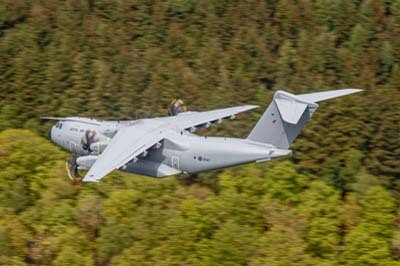 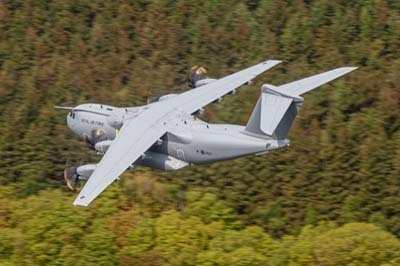 Left to right: A400M Atlas C.1 (ZM417) with 70 (LXX) Squadron.